“And I’d choose you; in a hundred lifetimes, in a hundred worlds, in any version of reality, I’d find you and I’d choose you.” - The Chaos of Stars // A line from Lauren's wedding vows to Tim. I was stunned how at my first meeting with Lauren and Tim, they quickly knew and made the decision to hire me. It is not only humbling, but so special when a couple feels 100% trusting and sure they want you to be a part of their wedding day. I instantly connected with them. It's not hard to love these two. And it's even easier to love their love that they share. Lauren and Tim have a daughter, Lily, so I knew this unity would not be for just two people, but officially for three. Their bond? Indescribable. It felt like ages before their wedding day actually came, but I guess that's also due to the fact that they booked me a year and a half in advance. 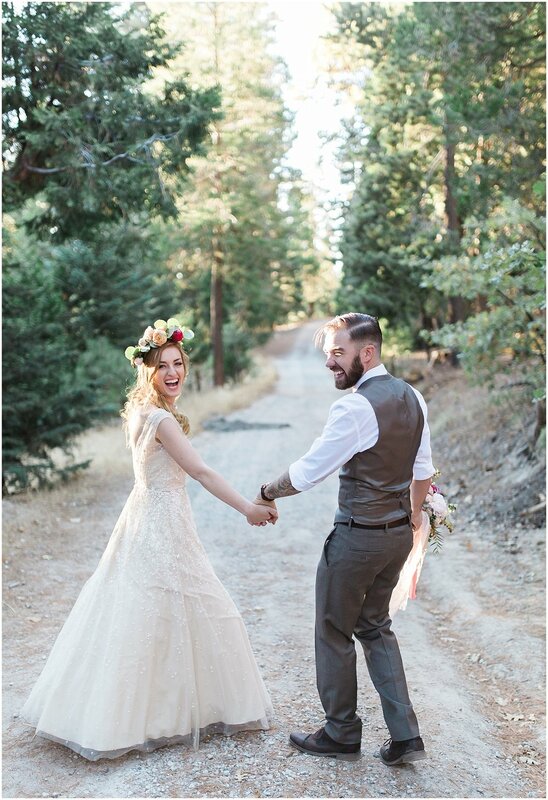 Lauren and I would text weekly about all the details, her dress, Lily's dress, the amazing signs, etc - so, when the day finally got here, it felt like magic was coming together. 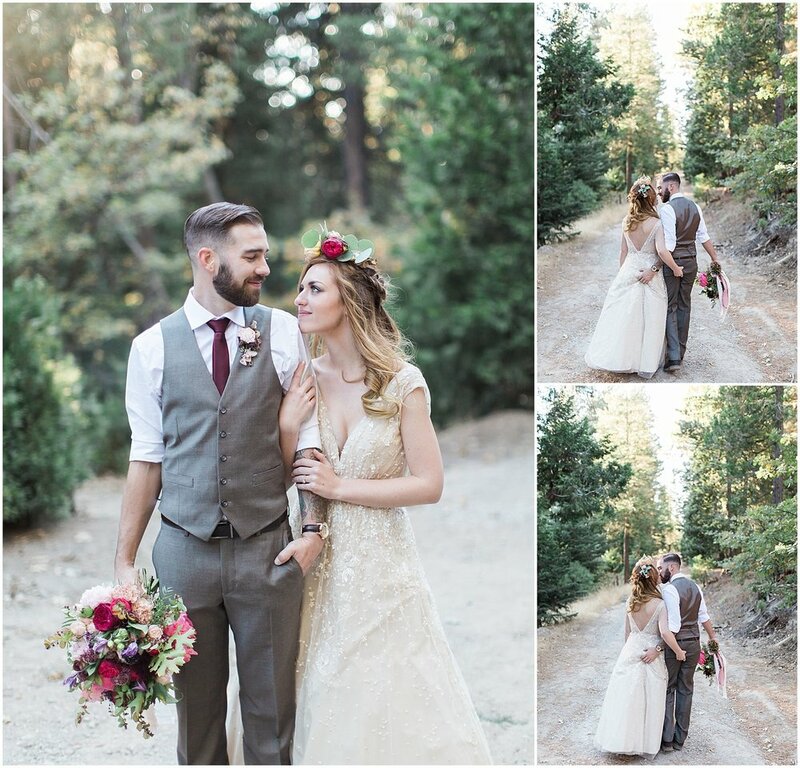 These two got married at the most gorgeous gem in all of Lake Arrowhead. Seriously guys, this place was insane! As soon as I got out of the car I couldn't get over how beautiful it was and how perfect the weather turned out to be. And if that wasn't enough - hold tight for the tear inducing vows, their drop dead gorgeous romantics, Tim & Lily's special dance together, and how utterly awesome all of their family and friends are. I mean, do I need to even sell you anymore on this wedding? See for yourself below. Lauren and Tim - I couldn't be more honored that you chose me to document your wedding day. It has been a joy getting to know you both and your daughter, and now having clients-turned-friends for life. You both are truly rare people to come by and I am so grateful to have played a small part in your forever. I cannot wait to see what the future has in store for you both! Check out their reaction below! Awesome!